Original Dutch Boatman’s Bargemans cap. 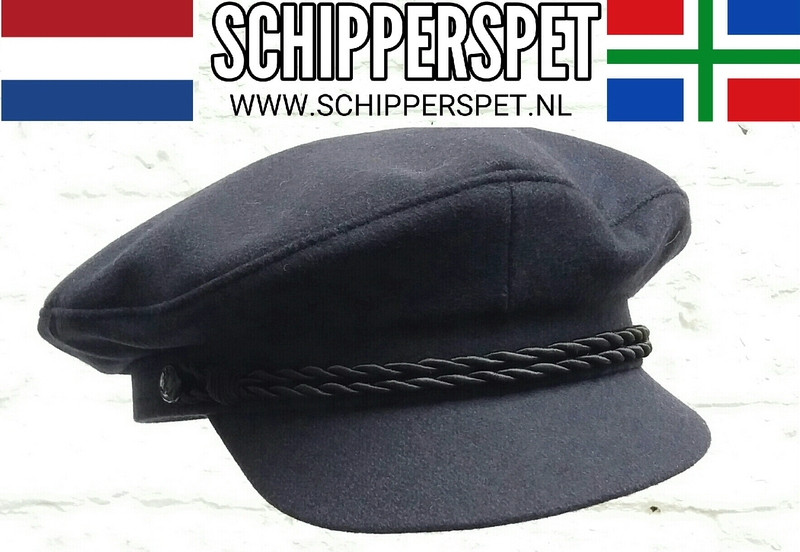 This original , traditional and authentic Dutch Fishermancaps are made of dark cloth . The groninger “Schipperspet” are lined with a smooth fabric, leather sweatband. The ‘Groninger` cap from Witting is recognizable by its excellent fit and solid quality.